Sequencing is an integral aspect of yoga teaching. According to the dictionary, Sequencing can be defined as following of one thing after another – an order in which one thing follows another thing. When it comes to a yoga class, Sequencing can be referred to as all the components that make up a yoga class (centering, warm-up, body/asana and relaxation / meditation). But Sequencing can be especially applied to the body / asana portion of a yoga class. 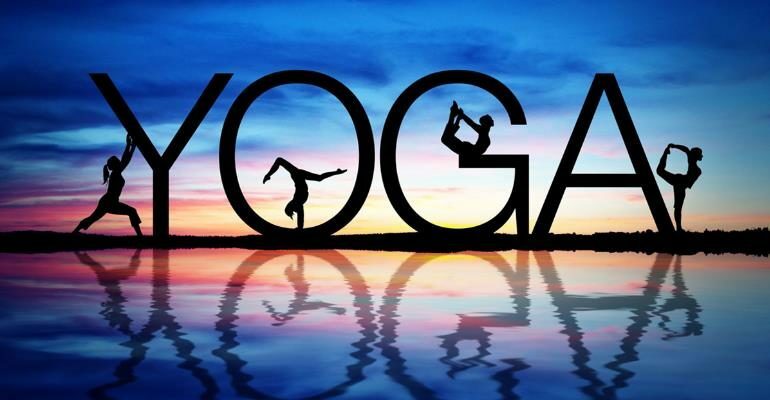 In some types of Yoga such as Hot Bikram Yoga and classic Ashtanga Yoga, the whole sequence of the class is always the same with no deviation from day to day. But in most forms of Yoga, You the teacher will be creating the sequences. When it comes to the credibility of a Yoga Teacher, both teachers and students will judge a yoga teacher’s performance based on their sequences. Sequencing is a yoga instructor‘s chance to use her knowledge of yoga anatomy and postures in a unique and creative manner. This is a question that many a new as well as experienced Yoga Instructors would grapple with. The most important thing to remember is that a good yoga sequence should have a purpose. Below are different ideas that can be used for sequencing a yoga session. Leading from easier to harder poses helps the body warm up and prepare for the difficult poses ahead. Easy to hard is a common and resourceful way to use sequencing. Experienced Yoga instructors could also use a particular theme for sequencing such as backbends or hip openers. In a class focusing on backbends, the centering tadasana (moutain pose) could include a gentle standing backbend pose. The asana portions of the class could include Warrior 1 Pose instead of Warrior 2 as the former lends more stress on backbends. You could also include the camel and bow pose ending with a bridge or upward bow pose. A good yoga sequencing will include a graceful and pleasing transition and the practitioners must feel that the sequence is natural with a forward momentum. Usually students must not spend large portions of their time switching body positions. Once they have moved, ensure that several asanas can be done in that position. Another type of effective sequencing is to move from simple poses to poses that more complicated. Some poses like Tadasana would be simple to perform because you are simply standing up. A handstand again is a simple pose but is hard to perform for 99 % of yoga practitioners. Seated and reclining poses can also be complicated. For example in a sitting sequence you could instruct your students to start with Dandasana and the move to Marichiasana and then to Matysyndrasana to Bharavasana. One way is to teach one pose to both the sides and then move on to the next pose. In a Sukha form class, you could teach Warrior Form on the right and then on the left and then proceed to Triangle pose on the right and then to the left and so on. This sequence is ideal for beginning students as well as fresher yoga instructors because only one yoga pose is being dealt with at a time. This sequence can be represented as 1-1, 2-2, 3-3, 4-4. A second sequence to teach yoga poses is to move from one pose to another pose whilst remaining on the same side. For instance, here the sequence could be Warrior 1 followed by side angle and triangle to the right followed by a forward bend and then repeat the same on the left. Poses in this sequence do not necessarily require a pause in between thus flowing from one pose to the next. This sequence can be represented as R 1-2-3-4, L 1-2-3-4. A third sequence is to teach the poses on the right side in reverse order from those taught on the left side. This sequence is a little different and will usually get the attention of the students. Do remember though that this sequence may become difficult to remember for the yoga teacher as well but occasionally used, it can be a good change. This sequence is represented as R 1-2-3-4, L 4-3- 2-1. A yoga instructor may realise that he / she is using their favourite yoga combinations in their classes. Let us refer to these combinations as modules because they can be stacked on top of each other to build effective yoga sequences. For example you may prefer a module using cat / cow, alternate arm balance, touching raised hand and foot to floor in alternate arm balance for five to ten repetitions along with ardha dhanuranasa. On the other hand, you may be using a module that begins on hands and knees and moves to downward dog, plank and child pose. Both these modules can be used along with variations in several different ways. To begin with you can vary a module by adding one or more poses to the mix. In the first module you could add fire hydrants (lifting bent knees to hip level at 90 degree level) with both hands on floor or one arm partially lifted, or bent knee heel pushes to the ceiling after the floor touches, ending with the ardha dhanurasana. In the second module too, you could add one legged downward dog, bring one knee to the chest while in plank (or bring it to one or both elbows in turn), bring the front leg into lunge and twist, or move into pigeon pose before resting in child’s pose. Key thing to remember when structuring yoga sequences for your class or your private yoga student is that students in your class can get bored if you teach the same basic sequences over and over. So keep changing your sequences from time to time, add and subtract poses and keep pushing the bar always and you will soon have a dedicated and loyal following of yoga students who swear by your teaching! Kushboo Shah is an experienced Corporate Yoga Instructor who also teaches her clients Individually and in Group Sessions. An ex-investment banker and finance professional, Kushboo conducts Corporate Yoga Classes at various companies and also takes the lead in market research, new business initiatives and content creation for Wellintra’s marketing initiatives and also writes for our blog!